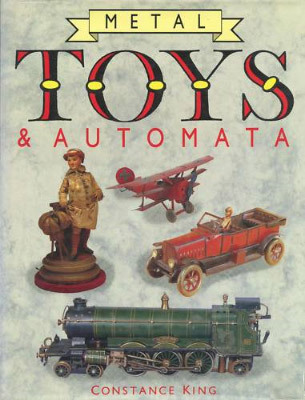 This is a good book on both automata and mechanical toys. Despite the emphasis in the title, there is a good deal of information on automata. The photographs are excellent, the layout clean, and the history not overly dense. I recommend the book, though you won't find under-the-hood photographs showing how these marvels worked. Metal Toys & Automata is the SAME book as A Guide to Metal Toys (both by Constance King). To add even more interest to the situation, the latter title was sold with at least three different covers! Download plans for ramp-walking wooden robot!